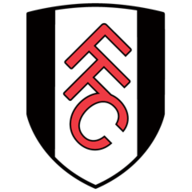 New Fulham manager Slavisa Jokanovic watched from the stands as the Cottagers enjoyed a 4-1 victory over Rotherham in the Sky Bet Championship at Craven Cottage on Tuesday evening. Jokanovic agreed to return to England on Sunday night after the west London club negotiated the former Watford manager's release from Israeli side Maccabi Tel Aviv. He will be hoping this was a taste of things to come as his presence inspired Fulham to their first Sky Bet Championship victory in 10 attempts. 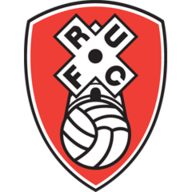 Cauley Woodrow made the most of his first start of the season by scoring twice and providing another for Alexander Kacaniklic before Ross McCormack rounded off the scoring with his 15th goal of the campaign, with Farrend Rawson having drawn Rotherham level after Woodrow's opener. Jokanovic, due to be formally presented as manager on Wednesday, could not have enjoyed a much brighter start to life in charge as Woodrow took advantage of slack defending from the visitors to convert the first chance of the game after six minutes. Scott Parker played a pass towards the edge of the area and McCormack stepped over the ball, leaving Woodrow through on goal as the forward kept his composure to round goalkeeper Lee Camp and net his third strike of the campaign and his first in four months since scoring in the reverse fixture. Kacaniklic might have doubled the home side's lead moments later with an angled drive that bounced just to the right of goal, before Rotherham were into their stride and went close four times in quick succession. Ryan Fredericks spared Fulham goalkeeper Andrew Lonergan's blushes by heading Tony Andreu's corner off the line, before Lonergan was called upon to parry Lee Frecklington's low drive to safety, with Danny Ward then having two efforts deflected just wide. After 20 minutes the home side's frailty against set-pieces was exposed as their defence managed to block Kirk Broadfoot's header from Joe Newell's corner before Broadfoot's partner in central defence rifled in a drive off the underside of the bar. Referee Simon Hooper was quick to adjudge Rawson's effort had crossed the line before it bounced back into play. A lull in proceedings followed, before the visitors' back-line switched off to the threat of Emerson Hyndman's through-ball, but McCormack telegraphed his effort when through on goal and Camp saved to his left. However McCormack did not rue his miss for long as he whipped in a superb low cross in the final minute of the half with Woodrow getting across Broadfoot to steer home. Woodrow then turned provider after 59 minutes, making his way down the right flank before providing Kacaniklic with a simple finish from close range. With a two-goal deficit to make up, the visitors threw caution to the wind but to no avail. Fulham had their fourth when McCormack chested down Dan Burn's header and swivelled to fire in a fine strike after 69 minutes that completed the scoring. "You can get a little bit lacking in confidence but I never doubted these players. We know we've got goals in us but now we've got to start keeping clean sheets. If we start keeping clean sheets then we'll rocket up this league." "I'm frustrated more than disappointed and if it had finished five each then it would have been about right. But they've got quality players that can hurt you."